Well, for starters, it must fit. Basically, there are two types of toilets when you consider their shape. These are rounded and elongated toilets. 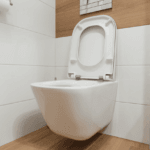 Of course, toilet seats are designed for use in toilets and thus, they are available in either a rounded or an elongated shape to fit the different types of toilets. Therefore, if you have an elongated toilet, your only option is an elongated toilet seat. For the best performance, these units should be made from high-quality materials so as to make them strong and durable enough to withstand the occasional abuse, especially from toddlers. 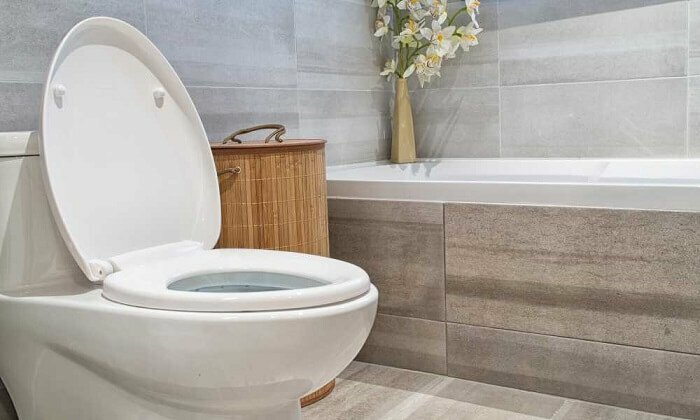 With this in mind, this article looks at 10 of the best elongated toilet seats, with a view of helping you find the best one for your toilet. The main reason why toilet seats get broken is that people slam them onto the toilet, weakening them and their hinges in the process. Kohler’s K-4636-0 solves this by having a quiet close lid design, which closes slowly and quietly without slamming the toilet. Additionally, the unit features grip tight bumpers that make the seat very stable to the point that it can be sat on without being attached to the toilet and it won’t fall off. These rubber bumpers also lengthen the lifespan of the seat because they prevent it from shifting, which can cause breakage, especially at the hinges. On installation, quick attaching hardware is used to fix the toilets. Hand screws simplify the installation of the supporting hardware to the toilet while quick release hinges make it possible for the seat to be unlatched easily without requiring any tools. This simplifies the cleaning process since the unit can be easily uninstalled, then returned after being washed. 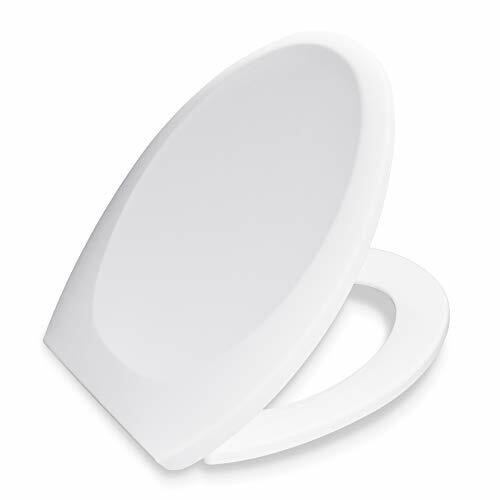 Construction wise, this seat is made from stain and fade resistant polypropylene plastic and has a total length of 18-5/8 inches, which means it can fit on most elongated toilets. It is also available in a variety of colors, which include almond, biscuit, black, cashmere, dune, ice gray, sandbar, thunder gray and white. Grip tight bumpers for stabilizing the seat. Quick attaching hardware for easy installation. Stain and fade resistant plastic construction. 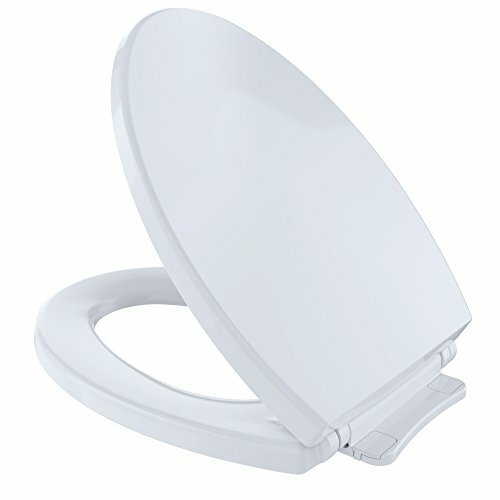 Bath Royale’s premium elongated toilet seat is a top-rated product because it fits all toilet brands including Kohler, American Standard, Toto, Crane, Eljer and Caroma among many others. 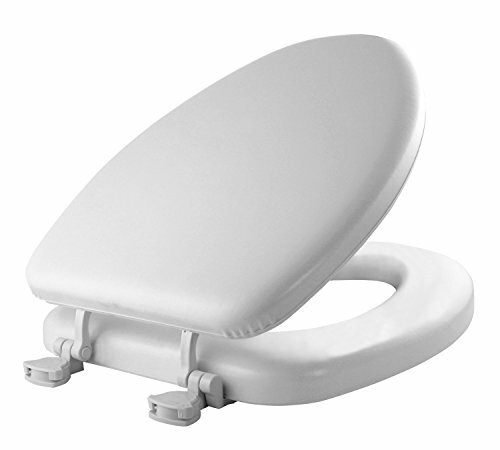 The seat also fit on toilets with non-standard 4 – 7-inch mounting hole spacings. 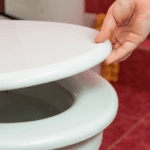 Cracked toilet seats, pinched fingers, and banging noises are results of toilet cover slamming. However, with this unit, a forward tap to the cover closes it slowly and quietly. This feature makes it efficient for the children and the adults who have back problems because they do not have to bend over so as to close the cover. Apart from this, the quick release makes it easy to remove the seat and cover easily to wash the toilet and the seat itself. Structurally, the product is made of 100% pure polypropylene, which is a non-absorbent, chemical resistant and stain-resistant plastic. The non-absorbent and stain resistant characteristic ensures that it remains hygienic for longer periods. Additionally, polypropylene is a thermal insulator and thus, the seat does not conduct heat from the body, which means it is softer, warmer and generally more comfortable to use as compared to acrylic or painted wood. Fits in all types of toilet seats; Kohler, Crane, Eljer, Caroma, and American Standard etc. 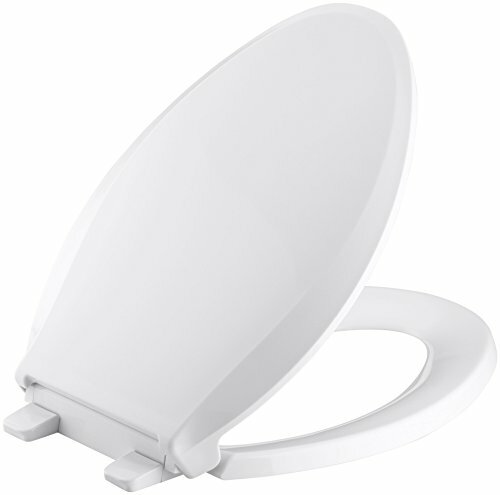 Also fits on toilets with non-standard 4 – 7-inch mounting hole spacings. Available in 3 different colors; almond, white and linen. Bemis’ 1500EC toilet seat is made from molded wood and has multiple enamel coats that make it more durable because of the hardness property of enamel. This coating also has the advantage of being easy to clean, which means that maintaining the seat is quite easy. On top of that, the unit has easy to clean plastic hinges, making its maintenance process much easier. For installation, plastic screws and bolts are used as anchors to the toilet, and twist hinges on the seat are locked onto them for quick and easy removal when cleaning. This makes it very easy to install and also to maintain hygiene because the seat can be easily removed for cleaning both the seat and toilet. The plastic screws and bolts that are used during installation are non-corrosive and thus, they won’t affect the integrity of the toilet or cause any discoloration. In terms of color, the 1500EC is available in a variety of them, which include almond, biscuit, bone, Dresden blue, ice gray, Venetian pink, white and silver. These give you enough options to get at least one that matches your bathroom’s interior décor or one that fits your preferred color profile. Lengthwise, this product measures 18.5 inches, and this makes it a suitable fit for most elongated toilets. Molded wood construction with enamel coatings. Variety of colors to choose from; almond, biscuit, bone, Dresden blue, ice gray, Venetian pink, white and silver. Twist hinges for easy lock and unlock. Non-corrosive plastic screws and bolts for installation. 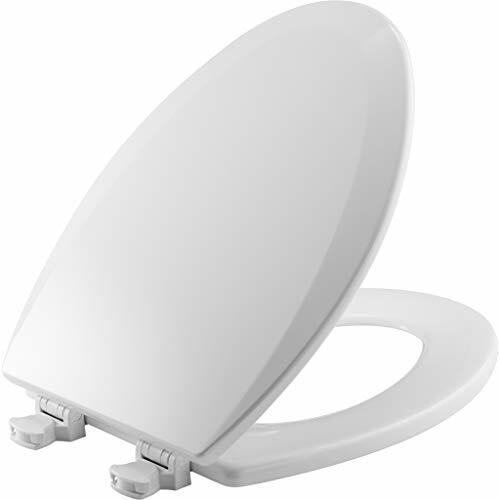 Delta Faucet’s 811903-WH elongated toilet seat also features a slow close design that prevents it from slamming and consequently, gives it a longer lifespan because without slamming, the unit’s body remains intact for a very long time. Additionally, the seat has a solid plastic construction, giving it the additional weight required for the strength to withstand rough handling, which translates to an even longer lifespan. On the bottom part of the seat, 4 non-slip rubbers are installed and these are very important for maintaining its stability as you sit on it, by preventing any form of shifting. In terms of size, the 811903-WH is 18.5 inches long and this means that it can fit on most elongated toilets because they usually have a bowl length of this size. Plastic bolts and nuts are used for installation and unlike the other types of elongated toilets where twist hinges are used to lock the seat into these bolts, these tie the seat directly to the toilet. 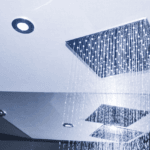 This means that you get a fast and secure installation, which helps in preventing any kind of loosening. A slow close feature helps prevent slamming. No slip seat rubber bumpers ensure that the seat does not shift. Fits on most elongated toilet bowls. A fast and secure installation that does not loosen over time. Solid plastic construction provides the added weight required for strength and durability. 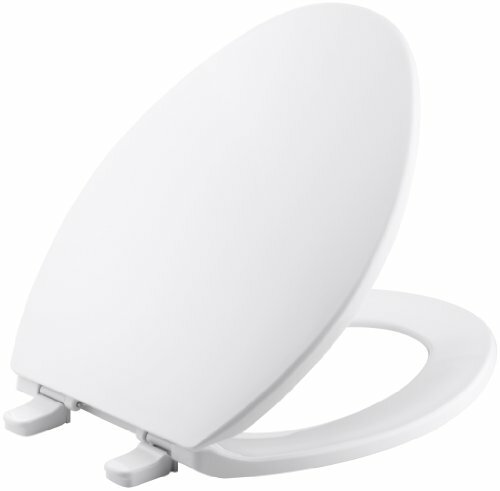 Bemis elongated toilet seat is created to bring a long-lasting comfort in the bathroom. Instead of the regular wooden or plastic surfaces that are hard and can cause tingling on your legs, this unit has a cushioned surface that is built onto a wooden core, making it comfortable and very durable. This cushion is covered in a vinyl material, which is very easy to clean because it has a leather-like surface that can be quickly wiped off any kind of dirt. On the backside, the seat features easy clean and change hinges, which make it more sanitary because the unit can be easily removed for thorough cleaning, then installed back onto the anchors that are attached to the toilet. This easy locking-unlocking system is also a very advantageous feature because it makes the removal quite easy when you want to replace the seat and cover, just in case the current one gets damaged or you want to have it is a different color. Other features include a universal fit on all elongated toilets such as Kohler, American Standard, Toto, and many others, availability in multiple colors (bone, white, black, light blue, pink and rainforest). Made from a wooden core, which is very durable. Long lasting comfort due to the soft cushioned seat. Fits all types of toilet sits; Kohler, Toto, and American Standard among many others. Available in a variety of colors, which include bone, white, black, light blue, pink and rainforest. Topseat’s TineyHiney is certainly not the most affordable piece in this review, but it takes durability to the next level. For starters, it has a strong wood construction that is hand sanded to have a very smooth and shiny surface. This is topped off by a white glossy painted finish that is easy to clean. However, what stands out the most is the sturdy and stylish chrome-finished metallic hinges, which highlight the back part of the toilet seat. These connect the seat and cover to the toilet, forming a very tight joint while still being very easy to clean. For installation, this unit is fixed directly onto the toilet using a set of studs, rubber washers, and nuts and this ensures that it is secured very tightly, with no movements at all. Another important feature that this product has is a toddler ring seat, which smaller than the outer seat and is meant for use by kids due to the small opening that the ring has. This makes it very practical for home use because both kids and adults can use the same toilet with the inclusion of this seat. 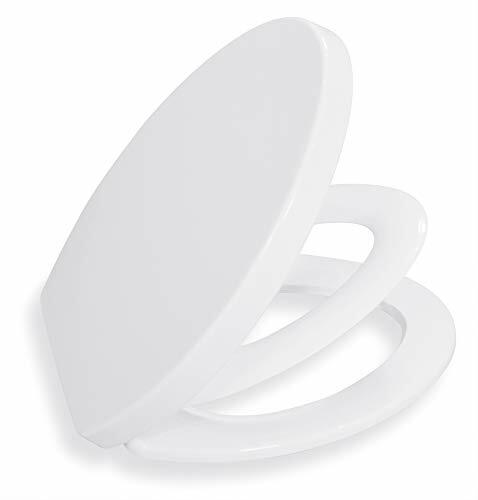 Additionally, bumpers under the toddler and outer seat prevent pinching when it is let down to the toilet bowl and also prevents shifting when the seat is in use. Glossy painted surface and smooth hinges make it easy to clean. Secures very tightly to the toilet. Toddler ring seat is included. A set of bumpers on both the toddler and outer seat prevent pinching and shifting. Bath Royale is known for making high-quality toilet seats and this particular one is fully featured with a toddler seat for use by kids and the main seat for use by adults. This makes it ideal for family use and thus its name, “family toilet seat”. The whole item is made using high-quality polypropylene plastic, which is more sanitary as compared to wood or acrylic because the material is non-absorbent, chemical, and stain resistant. This also ensures that the seat retains its color throughout its entire lifespan. Regardless of having this plastic construction, this unit is very strong and is tested to withstand up to 400 pounds, which means that it can handle the weight of even the overweight adults with only minor flexes, but will not crack, break or deform permanently. Four non-slip bumpers contribute to this strength by helping distribute the weight evenly while also preventing shifting, which might cause the seat to break. For more durability, this piece features a soft close design, which prevents slamming and thus, enables it to remain in one piece for a longer period of time. In terms of color, the seat is available in white, biscuit and almond, and comes with a pair of white and polished chrome mounting base covers that enable you to hide the mounting hardware and color match the whole setup to the bathroom décor. Toddler seat for use by kids. Non-absorbent, chemical, stain, and fade resistant surface. Can withstand up to 400 pounds of body weight. Available in 3 colors and comes with mounting base covers in white and polished chrome colors. 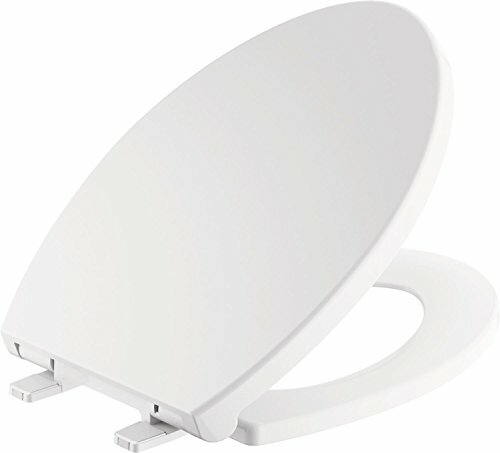 Kohler’s K-4774-0 is the most affordable toilet seat in this review but this does not mean that it is a low-quality product. It is actually built using solid polypropylene plastic, which means it is very strong and tough enough to resist chipping, staining or fading. This plastic is coated in a glossy paint, which makes it easy to clean, and is available in white, almond, dune and biscuit colors, and has color matching plastic hinges that make the whole unit blend in with your bathroom’s interior décor. For installation, the hinges make the whole process quite easy because they have a quick release mechanism that allows them to be unlatched easily from the toilet. 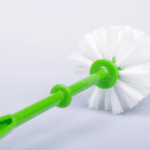 This makes it possible to maintain cleanliness because you can easily remove the piece to clean the hard to reach areas on both the seat and the toilet. In terms of design, the seat itself has an ergonomic design with a contoured surface that enhances the comfort level when sitting on it and helps prevent tingling on your lower body. Resistant to chipping, staining or fading. Available in a variety of colors with color matching plastic hinges. Ergonomic design with a contoured surface. Toto’s SS114 01 is very similar to the Kohler toilet seat described above in that, it is built using solid, high-impact glossy polypropylene, which is very strong and durable, and has an ergonomic design that makes it very comfortable to use. 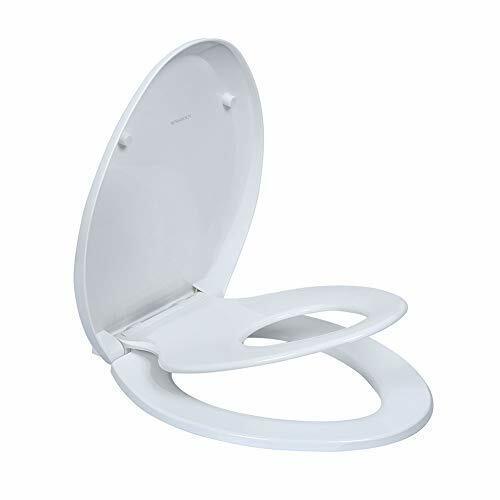 The seat features a soft close design that basically reduces the dropping speed of the toilet seat to prevent slamming, which can otherwise cause injury or damage the product itself. This safety feature is enhanced by the inclusion of molded bumpers on the lower side of the seat, which help it make a soft landing onto the toilet rim while also preventing shifting when sitting on it. Other features include the availability in bone, colonial white, cotton white, ebony, and Sedona beige colors. Ergonomic design for comfortable seating. WSSROGY’s piece is the most expensive elongated toilet seat in this review, but it has the features to show for it. For starters, it is built using an anti-bacterial material, which inhibits any form of bacterial growth, despite being exposed to the toilet. All you need to do is to wipe it with a soft towel in order to keep it clean and bright. Other than that, it has a built-in potty, which means it can accommodate the needs of both children and adults while also acting like a toilet trainer for kids. This built-in potty secures itself magnetically to the cover when not in use, ensuring that it does not fall accidentally onto your back as you use the adult seat. It is also very easy to pull down because, with a magnet, the joint is not permanent. Just a simple pull and the seat converts into a toddler potty. Other features include a soft close design and a universal fit for almost all elongated toilets. Built using an anti-bacterial material. Potty secures magnetically to the toilet cover. Fits on most elongated toilets. The material used to construct a toilet seat is very important. With the most common ones being wood and plastic, wood is a very strong and durable material, especially when coated with enamel. However, it can be easily chipped using a sharp object and thus, if the toilet seat only has a glossy paint on it, you must treat it with care so as not to ruin its aesthetic appearance. For solid polypropylene material, however, it is non-absorbent, chemical, stain, and fade resistant and cannot be chipped, which makes it very durable and thus, the best one to consider. With these two, what matters most is the type of hinge. For those toilet seats that are secured directly to the toilet itself, they form a very solid bond but can be cumbersome to remove for cleaning or replacement purposes. This is because you have to unscrew the whole setup. 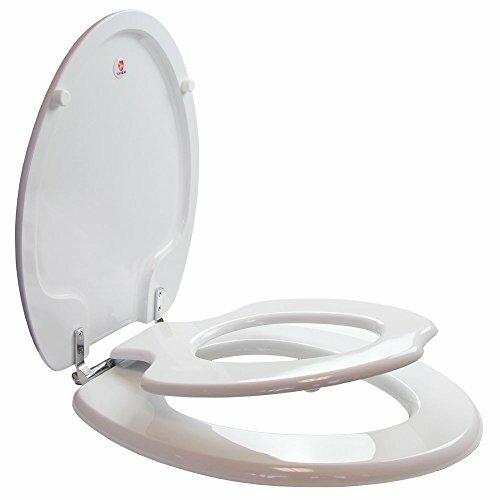 However, toilet seats with quick release hinges are very easy to maintain since they can be removed in an instant. These are usually installed on anchoring screws and bolts that are pre-installed on the toilet itself, and these don’t need to be removed when cleaning or replacing the seat. A quiet close cover is a very important feature to have because of safety and durability purposes. For safety, this system ensures that the seat and lid close slowly in such a way that they cannot harm your fingers if they are caught in between the fall. For durability, without slamming the seat, it remains strong and intact for a longer period of time. No slip rubber bumpers are a must have on any toilet seat. They ensure that the unit does not slip or shift and thus, prevents any damages to the hinges or the seat itself in the process. If you have a family, it is important that you buy a toilet seat with a toddler potty. Otherwise, you will have to rush to install one above the adult seat every time your kid goes to help him/herself. An uncomfortable toilet seat will give you a tingling feeling on your lower body after sitting on it for a while. To avoid this, ensure that you get a product that is ergonomically designed or even has a cushioned top. Although most elongated toilets have a universal length of about 18.5 inches, it important to measure this length, as well as the spacing between the fittings at the back. With these measurements, look for the unit that fits them so as to get a matching size. The color of a toilet seat is important to consider if you want to match the piece with the toilet itself or the interior décor of your bathroom. Otherwise, the default white colored toilet seat will do. As you can see, there is a lot about toilet seats than what meets the eye. Although most of them are of the same size, certain features such as body construction, the closing mechanism, comfort, and the installation process separate the different types of elongated toilet seat brands in the market. 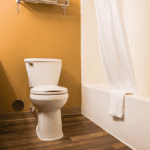 However, after going through this review, you should be in a better position to pick the best elongated toilet seat that fits your toilet and matches your needs.